Lung disease incorporates a number of conditions including chronic obstructive pulmonary disease (COPD), lung cancer, interstitial and orphan lung disease, asthma, pulmonary arterial hypertension, respiratory infectious diseases and chronic cough. COPD itself is an umbrella term covering long term conditions which have the common characteristic of shortness of breath. Many sufferers have a mix of several problems. 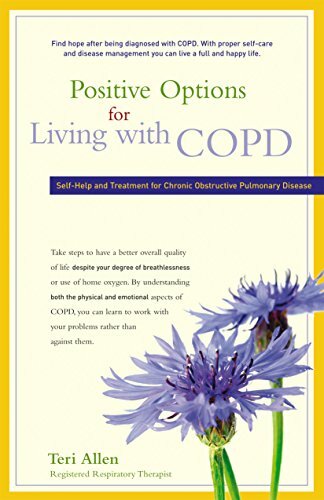 People who develop COPD are usually smokers or ex-smokers. Exposure to irritants may increase the risk of COPD. Irritants may be such things as fumes, dust or gas. The risk to underground miners has long been recognised. Occupational exposure may be responsible for 20 to 30% of COPD. Biological dust has more recently been identified as a risk factor. Second-hand smoke and other air pollutants also account for some of those affected. It is difficult to detect mild to moderate COPD and it is sometimes confused with asthma. While asthma and COPD are both common (and some people have both), the two diseases have different causes, affects and treatments. A spirometry or 'lung function test' will tell the doctor which disease he needs to treat. 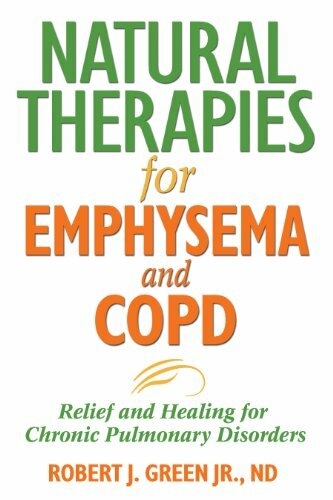 COPD includes emphysema and chronic bronchitis. If a person has emphysema, air becomes trapped in the lungs, making breathing in difficult. This results in breathlessness. Emphysema may be caused by an inherited problem but only in a very small number of cases. A genetic condition, alpha-1 antitrypsin (AAT) deficiency can result in the disease in those who have never smoked nor had long-term exposure to pollutants. Because of smaller lungs and more sensitive, smaller airways, women may be at greater risk. With chronic bronchitis, the airways are swollen and there is a constant and long-lasting irritation. Coughing and increased secretions from the lungs result. COPD is a leading cause of heart disease, stroke and cancer. It is the second leading cause of avoidable hospital admission. There are a number of pointers that can alert a person to the fact that something is not quite right with their lung function. Extreme breathlessness is not normal and should not be attributed to normal ageing. Should you have any of the following conditions, it would be wise to ask your doctor for a lung function test. Early diagnosis can slow the progression of the disease and make a significant difference to quality of life after the diagnosis. Early diagnosis and treatment will mean a longer life. Wheezing may be absent in severe but stable COPD. In more advanced cases, there may be hyperinflation of the chest, soft breath sounds, an extended expiration period, less chest expansion and hyper-resonance to percussion. COPD is termed moderate to severe when lung capacity drops by 50%. There are a number of ways by which people can prevent, delay or cope with the disease. Quit smoking. This will have health benefits at any stage. If you don't quit, the lungs will worsen much more quickly than if you do. Do all you can to rid yourself of this self-destructing addiction. Smoking has no benefits at all but contributes to many health problems. One of the best treatments for COPD is pulmonary rehabilitation. Joining a group education class or exercise class aimed at pulmonary rehabilitation will be of great benefit as, among other things, you will learn to manage your breathing. Regular exercise and/or activity will result in better breathing patterns and fewer COPD symptoms. Check with your doctor but generally aim to get just a little out of breath when you exercise. Over a period of time, staying inactive will only worsen your condition. Unlike smoking, exercising has no negatives but will benefit you in many ways. Eat wisely. Again, this is recommended whatever disease you wish to prevent or wish to control. Eat healthy foods from all food groups. Keep your weight under control without going to extremes. Because chest infections are more common in people with COPD, protect yourself against infections by having annual flu shots and five yearly pneumococcal vaccinations. Take your medications. Once you have seen your doctor and your condition has been charted, take medications as prescribed. Do not stop a medication just because you are feeling much better. Discuss it with your doctor if you like but continue medications until told otherwise. Educate yourself about your medications. Find out what you're taking and why. Ask about side-effects. Don't forget to mention to the doctor any other medications you may be taking, prescription or otherwise. Most medical interventions will include a special inhaler of some sort. This delivers the necessary medication directly to the lungs. Preventer inhaler – in more severe COPD, to assist in preventing flare-ups. You may also be prescribed medication to be taken by mouth. Reliever inhalers are short-acting bronchodilators. The medication causes the muscles around the airways to relax, allowing air to flow more easily. They may work within minutes and the effects normally last for several hours. Always carry your inhaler with you and advise your doctor if you need to use it more often than normal. If you have some form of COPD, it is highly likely your lung function will be tested. This is called spirometry and the machine used is called a spirometer. A spirometer measures the speed at which the lungs fill and are emptied of air. After taking a full breath, the person is asked to exhale into the spirometer. And in most cases it is really that simple. It is done while seated, sometimes before and after using an inhaler and is usually all over in 10 to 20 minutes. A lung function test helps diagnose the condition and aids in planning treatment and/or changing treatment. In general, lung function tests are not usually uncomfortable although you may get out of breath somewhat and feel a bit tired. It is estimated that there are two million Australians living with COPD. One in five Australians is affected by this insidious disease but over half of these don't know they have it. If you have any of the symptoms mentioned, do yourself a favour and make an appointment with your doctor.